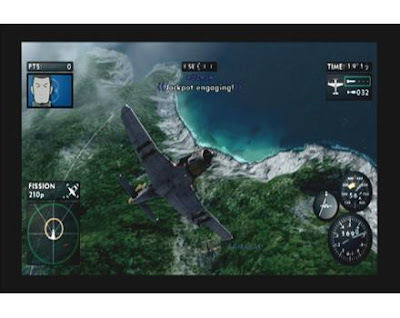 Synopsis: In hopes of getting to my recently purchased titles that I have not even had a chance to play, XSEED decided to foil those plans and send me a review copy of their latest action flight simulator, Sky Crawlers: Innocent Aces. 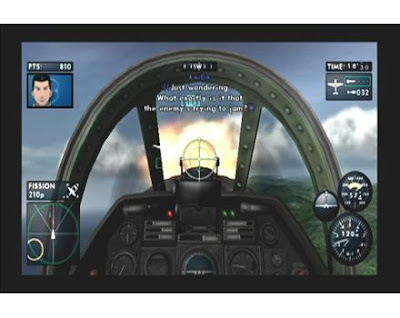 Project Aces, the team behind the Ace Combat series is the development team behind this flight simulator exclusive to the Wii. You play as the latest rookie, Lynx, in a world that has finally come to peace, but after living with war for so long, it needs something more. The government’s solution to this peaceful world is to pursue a new round of wars, which are sponsored events between corporations with military trained personnel, and using the battles and media reports to satiate the inhabitants’ instinct to fight. Praise: The use of the Wii’s motion controls were implemented very well and make the title feel like a real flight simulator. Using the nunchuk/ remote combination, I had tilt the remote up and down for throttle and move the nunchuk left or right to maneuver my plane plane. If you prefer playing games without the motion controls, which I tend to do, you can attach the classic or GameCube controller instead. After completing a handful of missions with each, both are fun and don’t take away from the gameplay. 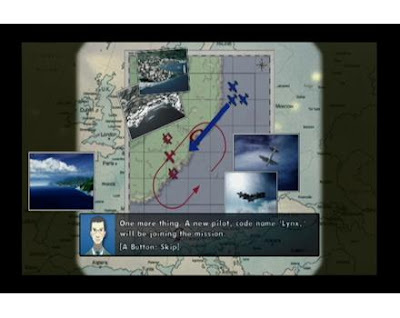 The graphics seen for the planes and large environments are realistic looking and similar to what you would see in other Project Aces titles and the cut scenes are delivered in anime style animations sequences. The ability to choose from numerous planes and upgrades received after completing missions had me going back to see what I get to unlock next and the difficulty curve is painless for the most part starting a little easy and getting more and more difficult with each mission. Gripes: My biggest issue with this title is the lack of split screen multiplayer dog fighting. 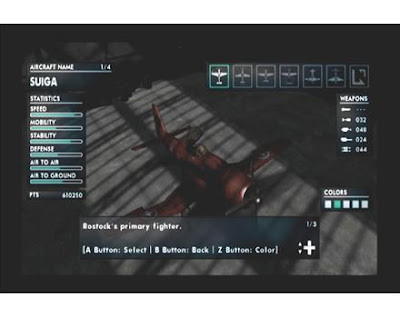 Though a second player is able to join in and help you aim the gun reticule to take down enemy planes, it would have been a lot of fun to play split screen and either do coop missions or one on one dog fighting. The other problem I had with this title that took away from the controls, is that you cannot roll the plane completely over, so when you move the nunchuk or joystick left or right the plane tilts and just kind of stops there. Weapon types consists of guns and bombs, I understand this game takes place in the past from the styles of the planes, but it would have been nice to be able to unlock some sort of missile or weapon to lock onto the opponent with and send them to their fiery doom. Overall, Sky Crawlers: Innocent Aces was fun to play, and shows that motions controls can definitely help the gameplay when it is done correctly, and in the case of this title, it did greatly. Though I am not familiar with the Sky Crawlers animated film, the game’s story has intrigued me enough to queue it up. This title is not terribly long, but I feel it has a decent amount of replay value to hold onto until another good combat flight sim is released and with a price tag of thirty dollars upon release, there is a lot of content for the price. 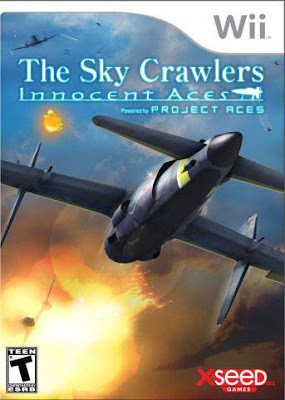 Sky Crawlers: Innocent Aces is available now on the Nintendo Wii.